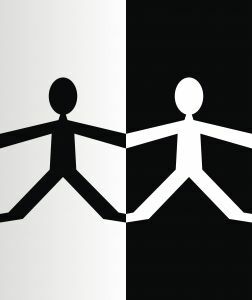 A new report by the National Center for Health Statistics indicates that the racial disparity between white and black Americans as it relates to life expectancy has narrowed significantly in the last eight decades, but we still have a long way to go. According to the report, there remains a four-year difference, and the reasons primarily relate to higher rates of heart disease, cancer, diabetes, infant mortality and homicide among black Americans. As it stands now, life expectancy for blacks rose to 75 years in 2010. That’s up from 64 in 1970. For white Americans, life expectancy is up to 79 years, from 72 years in that same frame of time. It’s a significant departure from 1930, when the life expectancy was 60 for whites and 48 for blacks. Our Boston Social Security Disability Insurance lawyers know some of these factors occur very suddenly. However, three of those – heart disease, cancer and diabetes – often have a slower onset and can become chronic conditions that often result in people being unable to work for extensive periods of time. The fact that people are living longer makes these benefits all the more critical. Heart disease was reportedly the single biggest factor in the difference, accounting for a full 3.8-year difference between the two races. The second-biggest factor was cancer. The term “heart disease” encompasses a wide variety of cardiovascular diseases and problems that afflict the heart and surrounding tissue. Depending on the condition and its severity, it can absolutely qualify a person for SSDI benefits. The three most common types of heart disease that we find qualifies individuals for benefits are: coronary artery disease, congestive heart failure, arteriosclerosis and aneurysm. Coronary artery disease is a condition that occurs when the arteries become clogged and narrowed and blood flow to the heart is restricted. Without enough blood, the heart becomes starved for oxygen, which then results in a cramping of the heart muscle. Congestive heart failure is a condition wherein blood returning to the heart from the veins becomes backed up, due to the heart’s inability to pump blood effectively to the body’s other organs. Swelling is known to occur with this condition and it’s known to also significantly impact kidney and lung functions. Arteriosclerosis is also sometimes referred to as a hardening of the arteries and results when calcium or fat deposits on the artery walls result in a thickening of these arteries. This can result in a heart attack. Aneurysm is a bulge in the artery stemming from weakness in the wall of the blood vessel. A rupture of this could result in fatal bleeding. With regard to diabetes, generally if your condition can be controlled through diet and medication, you won’t qualify for disability benefits. However, if the condition is uncontrolled and it’s prevented you from working for the last year, you may very well be eligible. Various forms of cancer will also qualify you for benefits as well, but again, it will depend on the severity of the cancer and to what extent it has rendered you unable to work. In terms of addressing and preventing these issues long-term, policy makers advise specifically redoubling on efforts to curb smoking, poor diet and hypertension among black populations and also ensure that they have access to effective medical treatments.